Expectant mums get to wear their baby news with an out-the-front bump but how do expectant dads announce their impending arrival? Described as ‘maternity wear for men’, Bellyman t-shirts announce the expected month of a baby’s arrival. 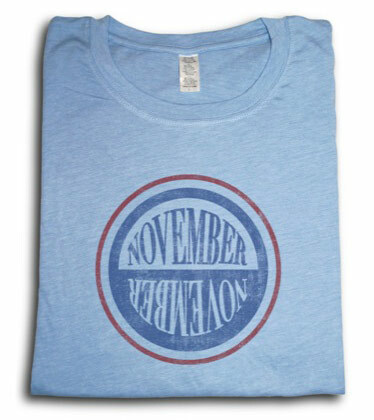 The t-shirts make a fun gift for new dads but are also a great way to announce baby news – have your family and friends guessing why you are walking around with ‘November’ written across your chest. Bellyman t-shirts are US$38 each and can be shipped to Australia.